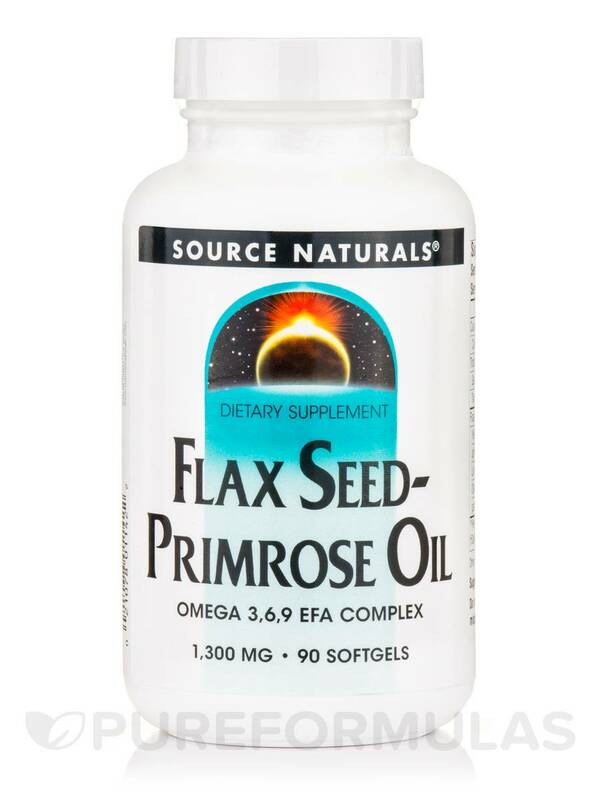 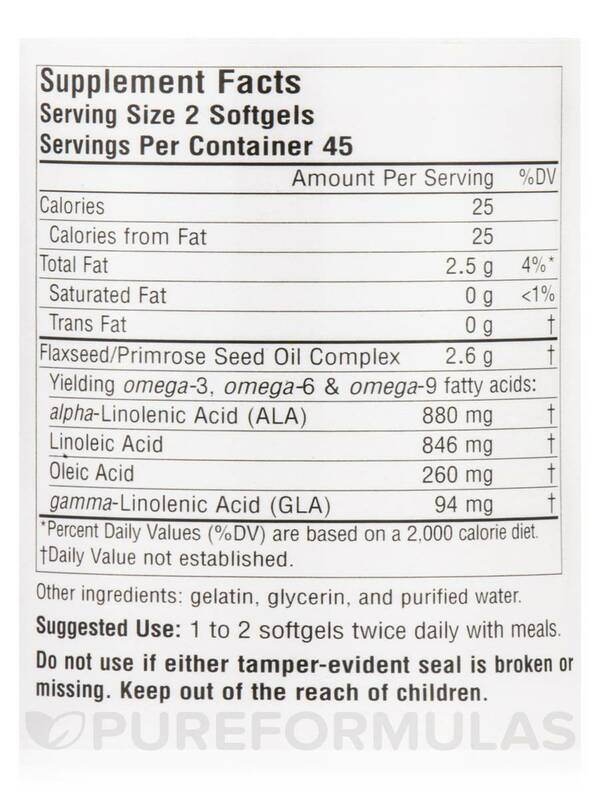 Source Naturals Flax Seed-Primrose Oil provides both omega-3‚ omega-6‚ and omega-9 essential fatty acids (EFAs). 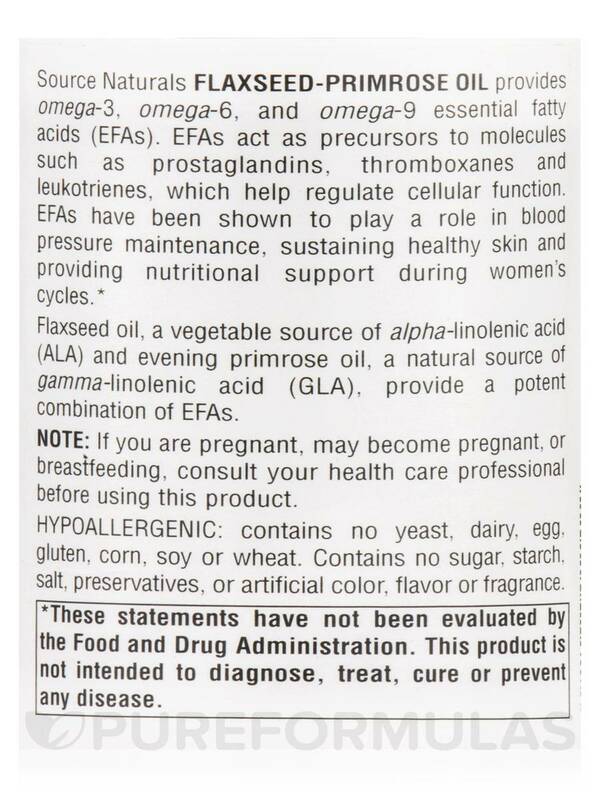 EFAs act as precursors to molecules such as prostaglandins‚ thromboxanes and leukotrienes‚ which help regulate cellular function. 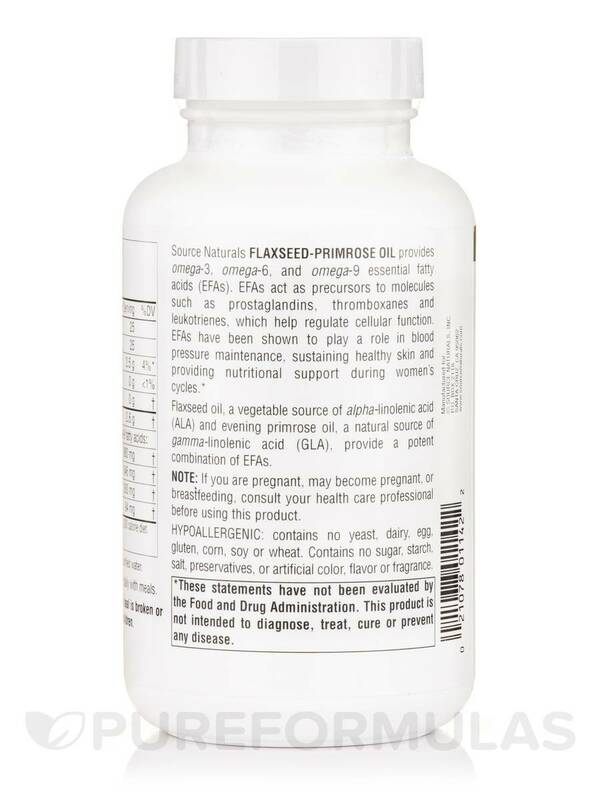 EFAs have been shown to play a role in blood pressure maintenance‚ sustaining healthy skin and providing nutritional support during women's cycles. 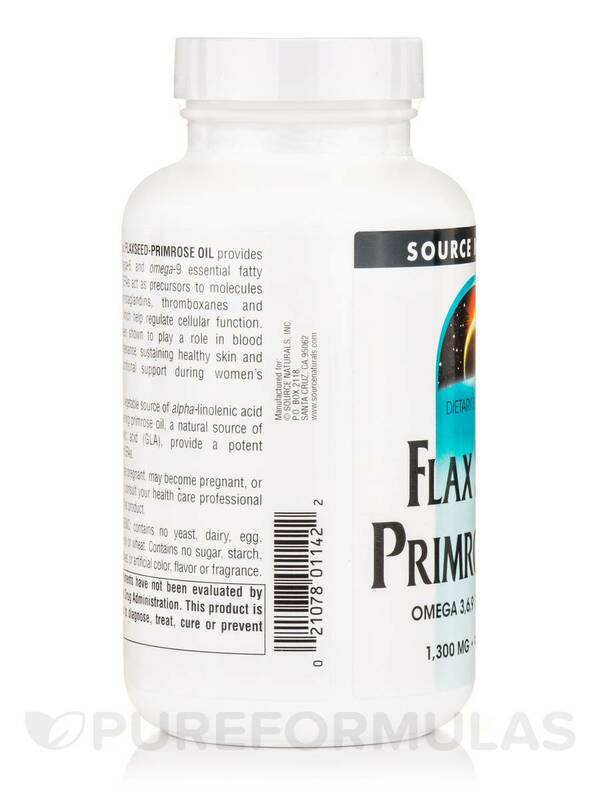 Flax seed oil‚ a vegetable source of alpha-linolenic acid (ALA)‚ and evening primrose oil‚ a natural source of gamma-linolenic acid (GLA)‚ provide a potent combination of EFAs. 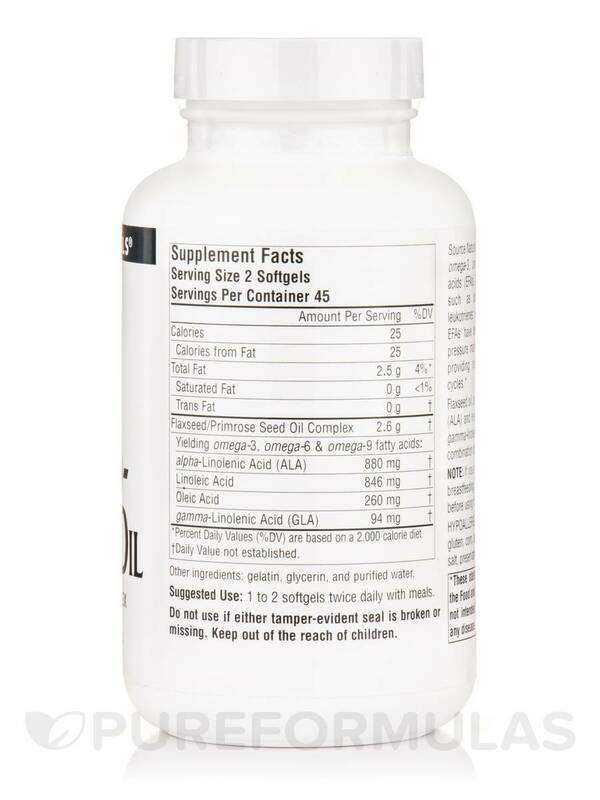 Contains no yeast‚ dairy‚ egg‚ gluten‚ corn‚ soy‚ wheat‚ sugar‚ starch‚ salt‚ preservatives‚ artificial color‚ flavor or fragrance.